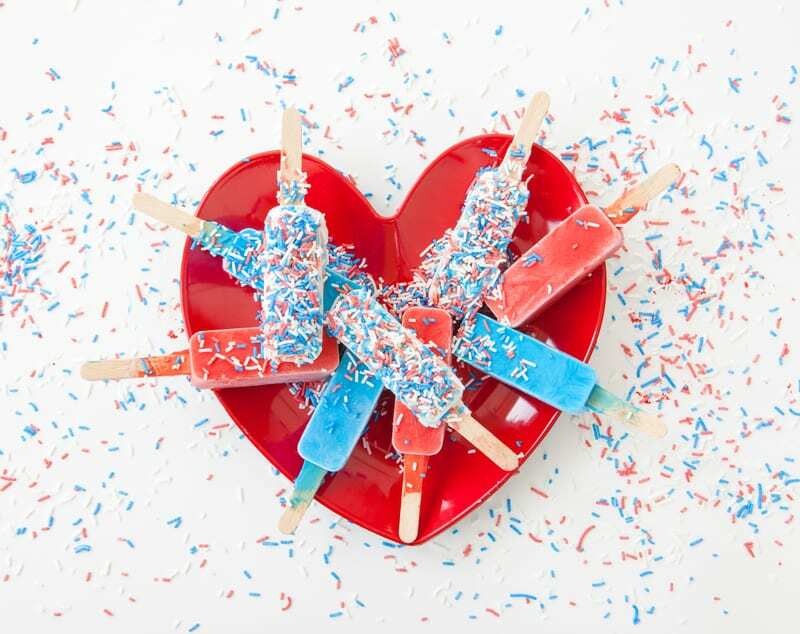 If you’re looking for the perfect frozen treat for your July 4th bash, look no further. I’m all about easy and uncomplicated when it comes to recipes, especially in the hot summer. 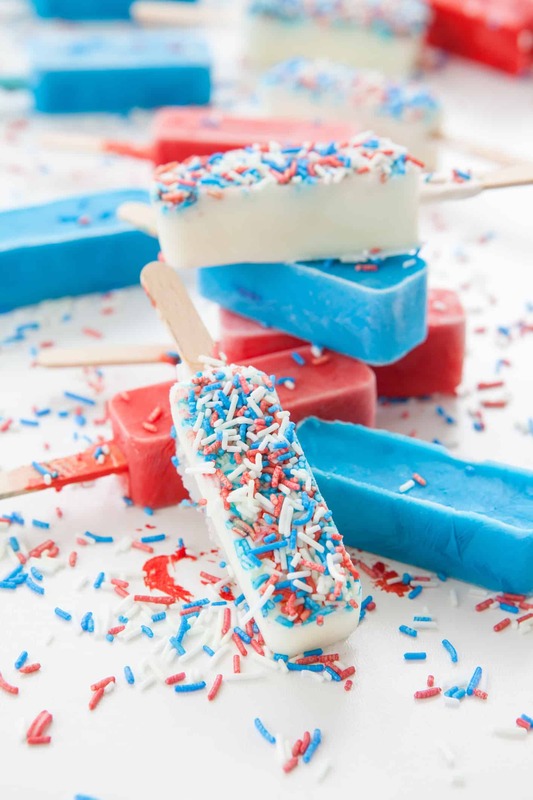 Fun to make and fun to eat – these patriotic popsicles couldn’t be any easier and your friends and family will be uber impressed! Can you imagine the oohs and aahs you will get when you serve these up? Serve them with or without the sprinkles, but even us grown up kids love sprinkles! They’re so easy that I’m almost embarrassed to share the recipe with you, but here goes. Buy Kool Aid and mix it up! Seriously! What makes them special isn’t that it’s a complicated, made-from-scratch recipe. It’s the way that they’re presented. Oh, I know that popsicles made with Kool Aid have been around forever and we all probably ate them as kids, but have you ever thought about dressing them up for a special occasion? By the way – no one is paying me to tell you about this fun frozen treat. I just love to share whenever I think of a great idea! 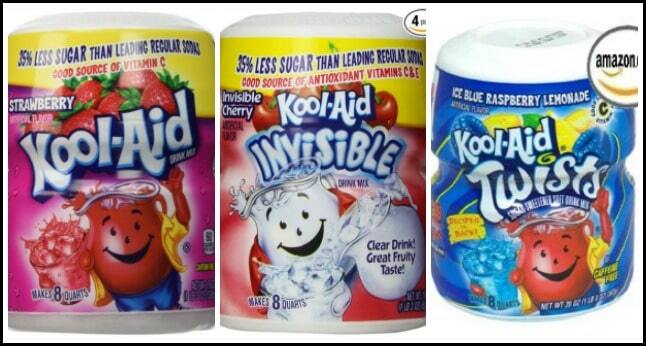 Try using these three flavors for a super red, white and blue patriotic treat – Strawberry, Invisible Cherry and Blue Raspberry Lemonade. TIP: For an extra burst of flavor, cut back on the amount of water that is called for in the mixing directions on the package. Affiliate links have been used at no extra cost to you. See my full disclosure HERE. 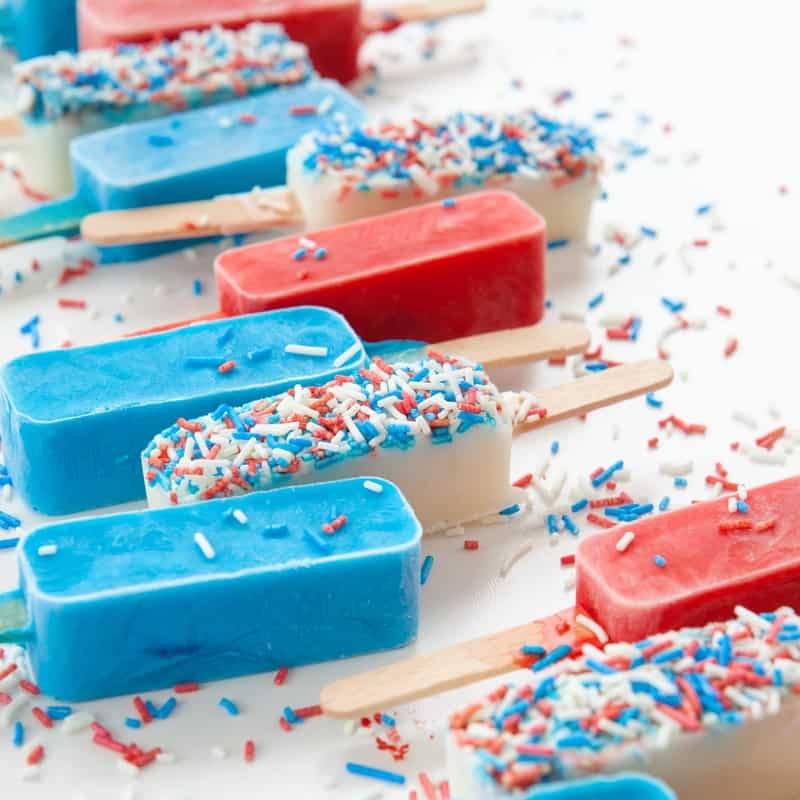 Once the popsicles have frozen, pop them out of their mold and simply roll them around in red, white and blue sprinkles right before serving. Your friends and family will think you went to soooo much trouble and they’ll never realize that they’re enjoying good ole Kool Aid popsicles! These are too fun and easy to save for a special occasion. Switch up the flavors of Kool Aid and colors of the sprinkles every time you make a batch. Do you think your family would enjoy these special looking frozen treats? Suzy, this is such a cute idea! Definitely trying this one! I never would have thought to add sprinkles. Hi Shenita. My grandkids loved the sprinkles! Such a fun and festive idea! I hope you love them as much as I do, Charlene! We will be featuring them in this weeks party! Thanks again for sharing. Check out our party for this week. Hope to see you there. These look so refreshing AND patriotic – love it! Going to try these in my new popsicle maker for the holiday! What’s better than frozen Koolaid?!? 😀 Hope you enjoy the popsicles! Very patriotic and yummy looking. Thanks for linking up to the Creative K Kids Tasty Tuesday, I look forward to seeing what you create next week. Great idea! When you said “cut back on the water a bit”…how much water did you use to make the popsicles? Thank you! I don’t have an exact measurement, but I would say that I use roughly 2/3 – 3/4 of the amount of water that the package calls for when mixing the Kool-Aid to drink. Hope this helps! What a fun and festive dessert to make for the 4th of July! Thank you and Happy 4th, Melanie! Thanks for sharing them at Inspire Me Monday at Create With Joy. You are one of our featured guests this week! We used to make rather rustic versions when we were kids, but I love the sprinkles and I didn’t know about invisible kool aid!! These would be so perfect for the 4th of July. I’m sure the kids would love them! Love this simple yet pretty idea. Can’t wait to make for my grandchildren. This is a cute idea! I love making popsicles all summer, and never thought to make them theme oriented. And this is so easy, too. I must do this!